Chong Hua Hospital spans the decades with the staunch belief that nothing is of greater value than life and no act stands noble as that of preserving or saving it. 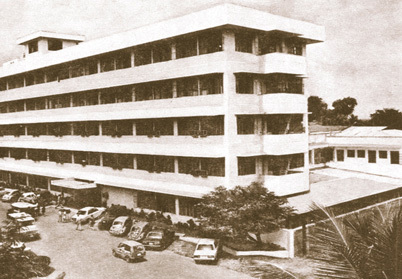 Since our founding in 1909, we have pioneered medical services of the highest quality in the Visayas and Mindanao. We have earned a reputation as an "Industry Leader". This is attributed to the visionary zeal and foresight of our founding members and Board of Trustees of the Asociacion Benevola de Cebu, Inc. as well as the support of the Cebu - Chinese community. We also credit, foremost among others, the sheer hard work of its management and healthcare staff. Chong Hua Hospital is home of the region's top specialists and sub specialist. We are pleased to be the referral hospital of choice for physicians and patients seeking the highest level of quality healthcare. Copyright © 2018 Chong Hua Hospital. All Rights Reserved.